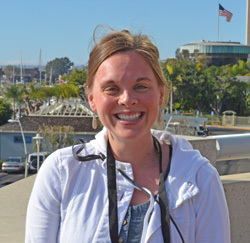 Rhesa Ledbetter from Utah State University was one of the students who attended the 2014 National Biodiesel Conference. Chuck caught up with her for an interview and she explains her research in algae biodiesel fuel. Rhesa finished her master’s in micro-biology and then decided she wanted to do a project that was really applied. To her biodiesel products seemed to make a lot of sense and something that would work well with her background. In the future Rhesa and her team look to continue seeking more efficient ways to produce the fuel and promoting all the great traits biodiesel has.